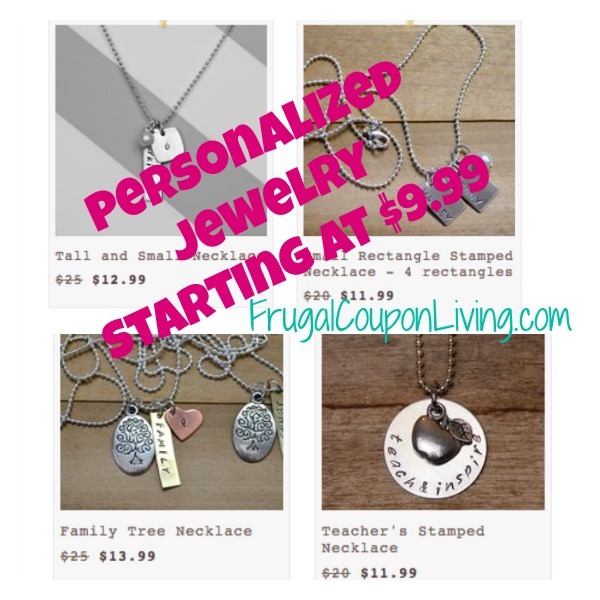 Personalized Jewelry is my absolutely favorite to give to all for any occasion. Right now at Belle Chic grab personalized jewelry for just $9.99 with a $3.99 FLAT shipping charge so you can order as many as you want! In time for our Frugal Fashion Friday, save 10% now with coupon code NOV1 at checkout. That makes each necklace as low as $8.99! This necklace sale is valid through the weekend – so hurry to select your piece! Snag yours today from Belle Chic!